Before starting the cleaning program of the peristyle of Diocletian Palace in Split, a series of tests have been performed on it. First of all, the state of conservation of columns and capitals has been assessed applying non-destructive techniques such as thermography, magnetoscopy and superficial ultrasonic tests. All the areas with black crusts, exfoliation and stone cracks have been determined. In this stage, parameters such as water absorption and colour have been estimated in order to compare them with those measured after the cleaning operation. 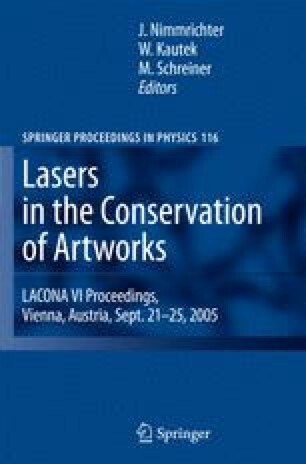 Then, more than 3-month period of tests have been performed to set up all the parameters concerning the application of the laser cleaning techniques. In this chapter, the results of these preliminary investigations are presented.